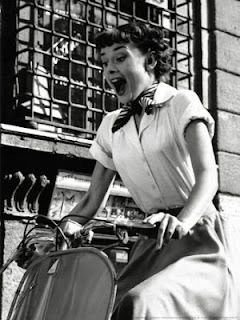 If Audrey lived today she would celebrate her 84th birthday this May. 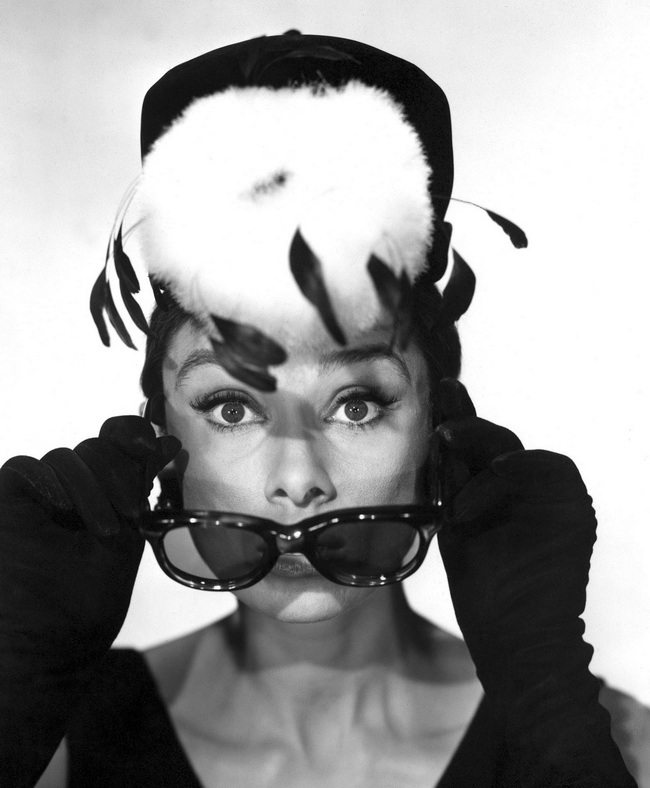 The now-iconic wayfarer was introduced in 1952. 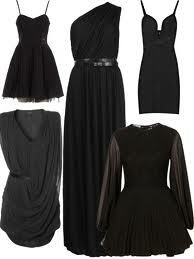 The same original model remains super chic, fun and always relevant. But it wasn't until Holly Golightly (A.Hepburn) introduced them in the memorable movie "Breakfast at Tiffany's" that this RayBan model got so popular. 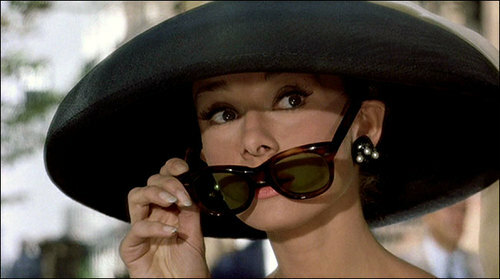 Simple yet elegant, Audrey wore tha particular sunglasses in several scenes of the movie in all formality. 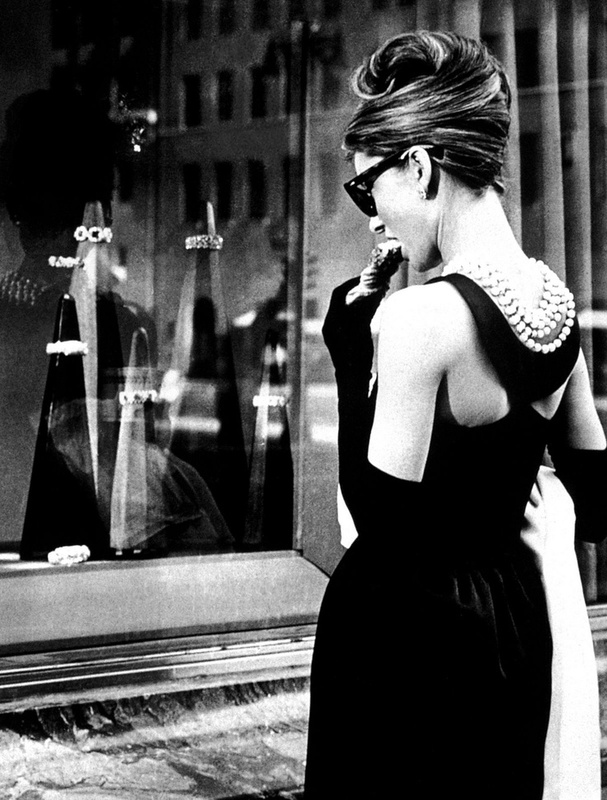 Fatal it was that the specific item would get both the fame and stylish perspective attributed to her look. Perfect for slipping on and running out the door for a busy afternoon of shopping, ballet flats are universally adored for being both comfortable and chic. 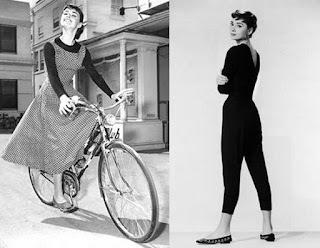 After the introduction of heels, flats seemed to have been a bit neglected (to say the least), for the much less "focus" it was supposed to give to female figure. 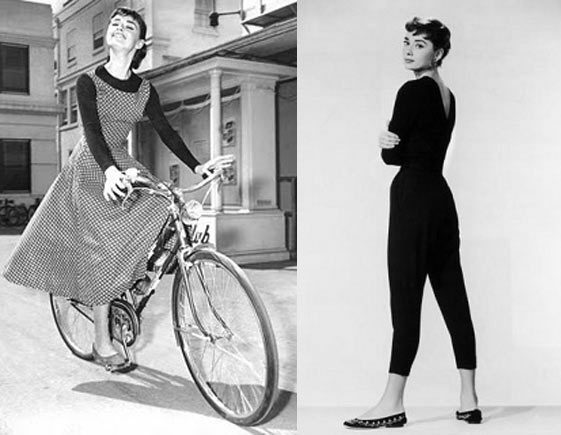 That was until 1957, that the rising star that was Audrey wore a pair of ballet flats in the movie "Funny Face". Long before Diane Keaton set new fashion standards in the 1970s with her own iconic looks in Annie Hall, Audrey Hepburn was wearing button-down men's style shirts, first in the film Roman Holiday. Her easy look of a plain white shirt worn open at the collar and accessorized with a jaunty scarf became a sensation. It remains a great look today. A classic tailored button-down shirt worn with a scarf can be dressed up with a skirt or wool trousers and a jacket, or dressed down with jeans and a cardigan. Either way, it's very chic.